To provide technical information concerning aircrafts parking to airline operators and Air Traffic Controllers. Make sure VIP aircrafts are parked in the required manner. Knowledge in any other foreign language will be an added advantage. Certificate in Aircraft Marshalling will be an added advantage. The incumbent is broadly responsible for safeguarding KIA's property, passengers and cargo against acts of unlawful interference, damage and theft. Providing screening services to departing passengers, baggage, mail and cargo. Monitoring CCTV and doing general surveillance. Ensuring security of passengers, cabin crews, aircrafts and visitors at the airport. Collecting any threat information in respect of insecurity of civil aviation, bomb threats, hijacking and report to the concerned authorities. Bachelor Degree in Social Science from a recognized Institution. Knowledge of Aviation Security and any foreign language will be added advantage. Not below eighteen (18) or above thirty five (35) years of age (ICAO requirement) and has not inclined to drug and alcohol abuse. Applicants shall be of good mental, physical and health state to the extent necessary to perform the security duties to and adequate standard. The incumbent is broadly responsible for performing wide range of repairs, maintenances and installation of the electrical, carpentry and Plumbing works at KIA. Checking on daily basis of all airport equipment and facilities such as AGL, pavements and utilities so as to determine need for service or maintenance. Trade Test Grade III or Level I in Electrical, Carpentry and Plumber from a recognized institution. The incumbent is broadly responsible for assisting Senior Technician in executing Electrical, Mechanical and Civil works. Controlling, keeping and protecting working tools and equipment against loss or damage. Checking on daily basis of all airport equipment and facilities such as AGL, pavements, utilities and vehicles so as to determine need for service or maintenance. Checking on daily basis all airports facilities such as AGL, pavements and utilities so as to determine need for service or maintenance. Liaising with other stake holders interested in making alterations to existing structure and report to the supervisor. Carrying out maintenance work on airport equipment, facilities and infrastructure. The incumbent is broadly responsible for enhancing good guests' relation and ensuring proper handling and facilitation of VIP passengers. Monitoring and maintain records of dishware and refreshment stock. Ensure travel of VIP is taken care in most efficient manner in consideration of the sensitivity of the situation without compromising safety and security. Daily inspection of all electronic devices within the lounge such as telephone, Wi-Fi routers, air conditions and television to ensure they are in good order and work properly. Assist checking in the VIP and handling their luggage. Picking up the VIP luggage at the conveyer belt area when they arrive. 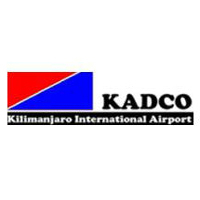 The incumbent is broadly responsible for providing customer care and promoting of Kilimanjaro International Airport. Receiving and assisting clients by providing them with the necessary information relating to charges and availability of space for lease, advertisement, concessionaire and taxi services. Holder of Bachelors Degree in Commerce, Business Administration specialized in (Marketing) or its equivalent from a recognized institution. Experience in Airport marketing will be an added advantage. The incumbent is broadly responsible for assisting Senior Operation Officers in ensuring that airside airport operations are safe and efficiently undertaken, in addition to ensure that efficient services are offered in the terminal building. Carry out daily aerodrome surface and lighting inspections as required in the Aerodrome Manual and when requested by the Air Traffic Services. Manage wildlife movement at the airport surrounding. Ensure VIP aircrafts are parked in a required manner. Bachelor's Degree in Business Administration, Public Administration, Human Resources, Laws, Operations/Logistics or its equivalent from a recognized Institution. The incumbent is broadly responsible for managing incoming and outgoing mails and distributing them as appropriate. To ensure that a file register is in place. To receive incoming mail, stamp and record them in relevant register. To ensure letters have all attached documents referred to and signed by relevant desk officers after attending them. To circulate flimsy file to the authorized officers. Holder of Bachelor Degree in Records Management or its equivalent from a recognized Institution. Assist in provision of emergency response services during an aircraft accident or incident which may exist at the time of landing, taking off, taxing, parked etc. Applicants must attach an updated Curriculum Vitae (CV) bearing reliable contacts i.e. postal address, e-mail address, reliable mobile phone numbers, certified copies of academic/Professional Certificates, one recent passport size picture and birth certificate. Testimonials, partial transcripts and results slip will not be accepted. Applicants currently employed in the Public Service should route their application letters through their respective employers.